Puzznic original NES Nintendo Game cartridge only - Cleaned Tested and Guaranteed to Work! A Puzzle to challenge your skills! 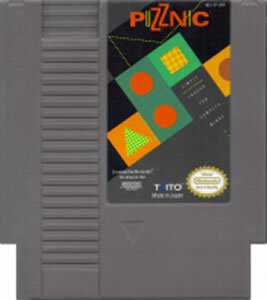 Having ordered this thinking it was actually "Flipull", I've been happily surprised to discover one of the most complicated and innovative puzzle games for the NES, There are a couple of different blocks (gems) you will have to work with, matching 2 or more of a kind will make them vanish, but the challenge will start once you get to stages with uneven numbers of a certain block. Since you have to eliminate all blocks and uneven amounts will leave one standing meaning failure, things will get complicated enough to have the player work on his puzzle solving skills in a way Sudoku players will enjoy a LOT more than Tetris or Doctor Mario! 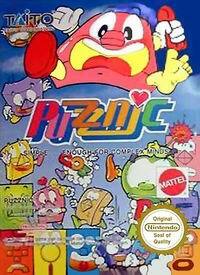 It may not be as Entertaining as Tetris and Dr. Mario, mind you, but the puzzle themselves are worth the admission price alone and the satisfaction to get past some stages will be as great as the troubles you have to go through to overcome them. Moving platforms are used to up the ante and by the 8th or 12th stage, you will already be thinking about how you shoul give it all up or if you enjoy the experience, which still stands as one of the most complex this side of Yoshi's Cookie!